Karma Kollections has made custom accessories for YMCMB artist Lil Twist, NY Giant’s football player Brandon Bing and various other loyal supporters. We take pride in providing customers with high quality hand crafted accessories that are unique to the individual. 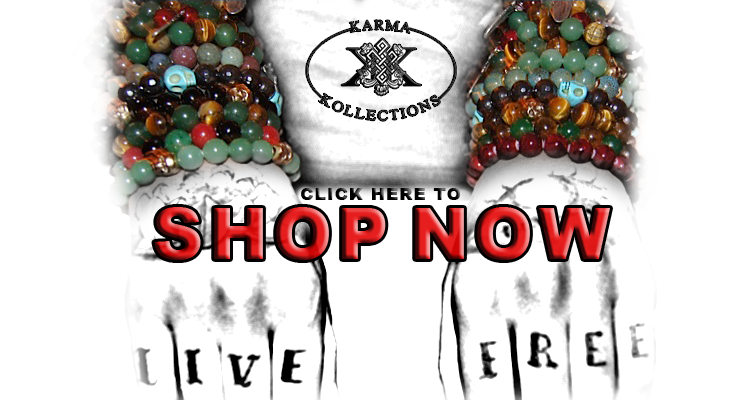 Check out our blog kollectkarma.tumblr.com to see a gallery of custom orders. Custom order prices vary depending on the beads and charms. An additional $5 custom order fee will be added to your total invoice. For custom orders please email kollectkarma@gmail.com and a representative will be in touch within 1 business day. Once custom orders are finalized, an invoice will be sent via email. Depending on the order, it could take up to 2 weeks for custom orders to be shipped.. but don’t worry it will be worth the wait!